If you need to construct a toilet at a location where plumbing services are not available, you can go for the macerating system. The step wise instructions described below would help you to erect an efficient macerating system in your home. In macerating unit, the bowel passes through the discharge tube and gets collected in tank. There is a pump in the tank which after breaking up the bowels pushes the residues through the exit opening. You can prepare the pump unit in the macerating tank by inserting the flapper check assembly in the place provided. Ensure that flapper assembly maintains the direction of elbow. You should now force the elbow to connection and fasten the same with the help of clamp. Vent can be easily tapped by cutting the pipe through with the help of reciprocating saw. You can keep a bucket at the pipe opening to gather anything which pushes out. You should remove approx 12″ part of the pipe. Properly rub and clean the two ends of old pipe. You can now put rubber adaptors on old pipe. 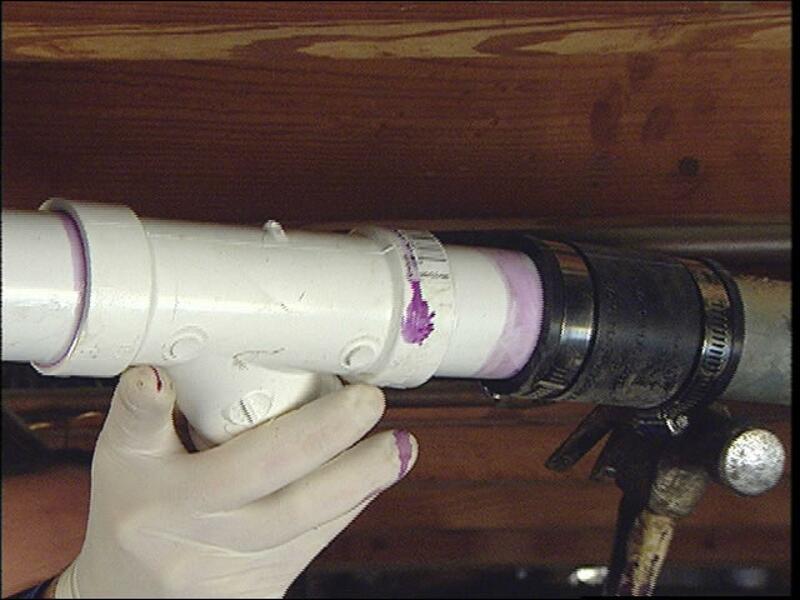 Use small pieces of PVC to make a 1″ and ½” ‘Y’ to enable them to cover the gap in pipe. You can now fix the rubber adaptors. You should now uncover the sewer line by removing the cover. When the cap has been removed, firmly put the male adaptor which has been properly threaded with 3.4″ reducer. Smear the male adaptor threads with Teflon paste and screw the same to clean out. Plumber’s wrench can be used to ensure than adaptor is properly snugged. Now connect the bowl of macerating system to the accordion seal and then secure the bowl with floor by making use of anchoring holes. To achieve this, bring the discharge line at around flexible 90 above the pump in macerating unit. This line is also called pressure positive line as it gets charged with pressure when the pump starts. 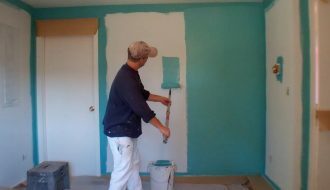 Your should make lengths of ¾” PVC pipe and a 90 which moves out from the wall. Now push the pipe via flexible 90 placed on macerator and then screw up the clamp. Slightly rotate the pipe which is parallel subsequently making the hole in the wall by drilling it, exactly at the pipe’s end. You can settle the discharge line length as per you requirement and make sure to glue it to 90. You can now cross the pipe across the wall. Make sure that discharge line is running and now connect ball valve to macerator very closely. Still continue to run the discharge line making sure in the process to lessen the most of 90 deg turns with 45. The line level should be downhill to facilitate smooth flow into the sewer. The line should be fixed to it position with the help of pipe hangers and remember to insulate the pipe if it is present in some cold place. Some existing vent can be tapped into, or even some vent which passes in the walls may be run. You can proceed here by cutting off the breather points in macerating unit with the help of two caps which you were provided with. You can skim off the lids from the dome and then place the accordion connector on the lip. You can now fit 1″ and ½” street 90 in the connector. Make use of hole saw and make a cut through the wall. Insert the street 90 in and fix it there with a clam. You can now run the 1-1/2″ PVC and attach it into the tap you made. You should use PVC hanger if you want, to make the line secure. Step 10: You can start the cold water line which connects to the toilet. Then you can turn off the water and after relieving the built pressure, cut the water line with the help of a pipe cutter. Install ‘T’ after removing 2″ from water line. Add a ball valve after you attach short pipe piece to ‘T’. You can use simple soldering methods to further extend this line and attach it to the pipe which was fixed through the wall earlier. Cap off any of the ports which will not be used. Make a connection to the sink, by capping off a 1-1/2′ PVC piece and attach it to the supplied accordion connection. Firmly secure connections by using clamps. For toilet installation, fix the clamp to the discharge outlet of toilet. Then you should keep the bowl just in the front side of macerating unit. Then pull the accordion gasket further onto the discharge opening. Make sure that the gasket is all even and that the clamp rests on the gasket edge. You can then screw up the clamp to fix it. When bowl comes over holes in the floor, you can push china protector on lag screws. Lag screws then should be gently screwed. Bolt covers should be snapped in place. 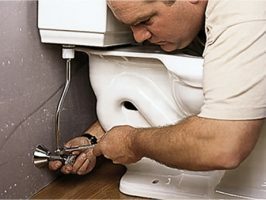 Toilet tank can be installed by properly lining the tank bolts and gasket. Avoid screwing too tight. Now you can install the seat. Flex line of stainless steel can now be attached from the bowl to valve. You can turn on the water supply to check for any leakage. Now all plumbing work is over and you can plug the unit in. You can now test the system by switching on the water.